What I've done is switch rooms, I moved my studio from a little tiny room to a larger room so I'll have room to move. I see these folks that make their work area in a closet, I don't know how I'd ever get anything made working out of a closet size area. 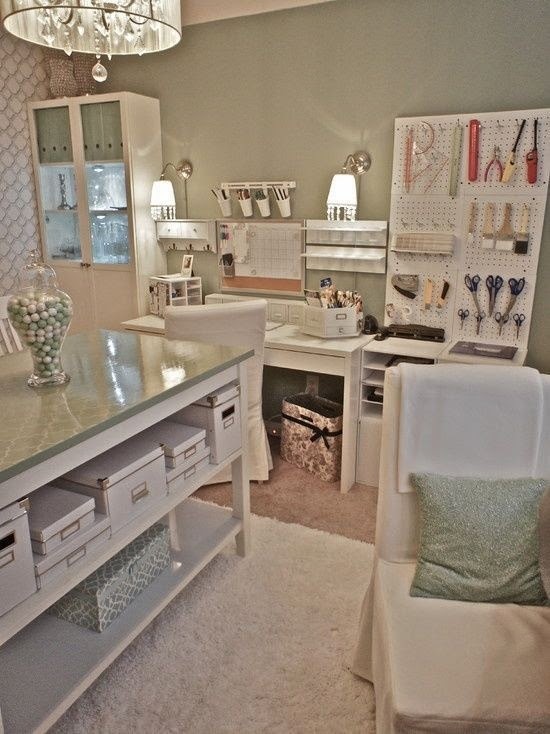 Of course I read the blogs and see pictures like the one below that looks like some showroom and think to myself if my work space was this perfect I'd never paint or bead again...LOL it's too perfect. I find that the thing that works best for me is having a place for everything and trying to keep everything in it's place. I like lots of plastic containers with lids for most everything and then there's a shelving unit in a closet for all those containers. I work in three different mediums so there's a place for my paints on those revolving racks,which I haven't set up yet, next I work with glass and all my glass is in plastic containers for the most part, need to make a trip out when it warms up to pick up a few more containers. 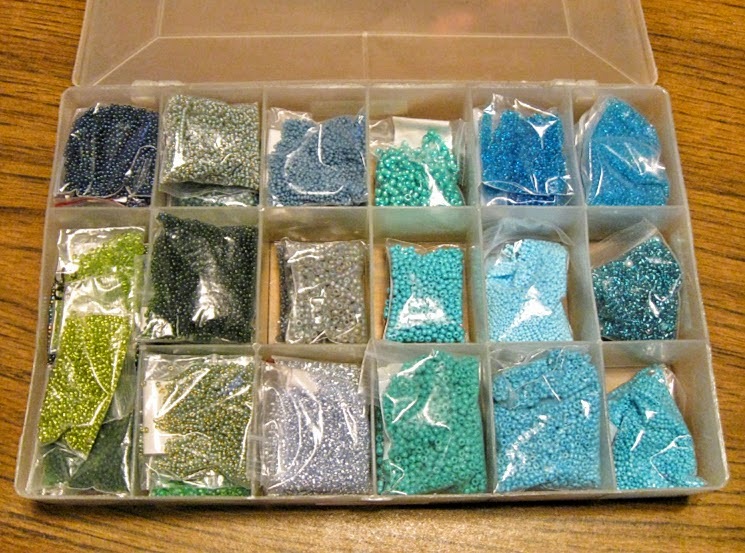 And then there's the bead work and I have all of that separated in containers by color and other containers for findings and such. So are you organizing? And do you have any good ideas for making the most out of the space that you have. I'll show you mine if you show me yours, all though I don't find mind very interesting...LOL. Please share the method to your madness.